a limited series of a series not seen !! the wet wood there and the fine malt, it's very nice! average, on the same scents, with the characteristic salt, the fresh peat, the salty, smoked return, and traces baconné, super! Who does not love Game of Thrones? When Diageo announced this special series of 8 single malts, in anticipation of the final season in April, I made sure I got my hands on a complete set. I confess, I was mostly looking for the Oban, Clynelish, Lagavulin and this Talisker. I know that in due time I will try them all, but this Talisker was the first to be opened, on the very day the set arrived. 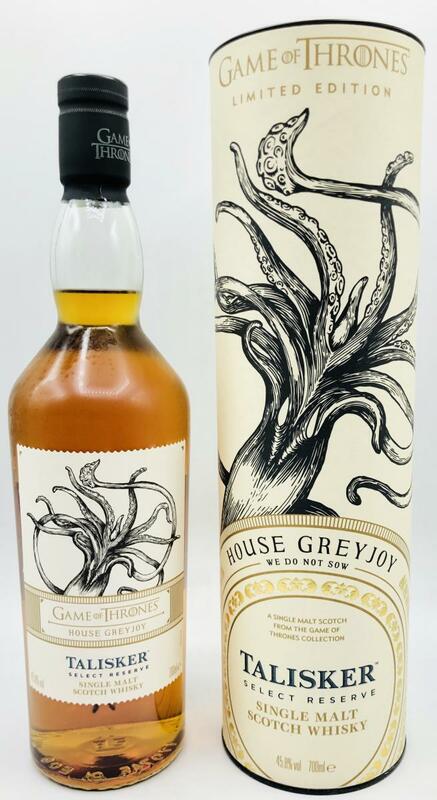 It represents the House Greyjoy, who worship the Drowned God on the Iron Islands and are a sea-faring people. 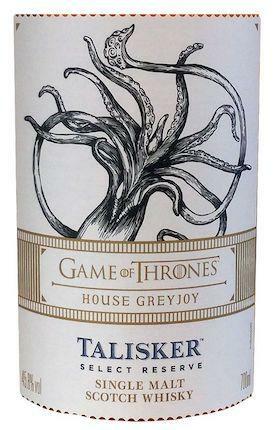 Talisker seems a very good choice to represent this House. The nose is wonderfully complex with those typical Talisker notes on the one hand – smoke, pepper and citrus – but also some great hints of green olives, beef jerky and cloves. Some tobacco leaves and salted milk chocolate. Good mouth feel. Creamy and full. Again quite a bit of pepper, woodspices, vanilla and some apricots, but it’s the salted chocolate (or is it salted caramel) that takes the lead. The pepper becomes grand. Make that chili. Hint of heather and menthol. That continues on in the medium long finish, ending in chocolate, tobacco and pepper. This actually reminds me somewhat of the grand 8 Year Old from the Special Release, but in a light version. 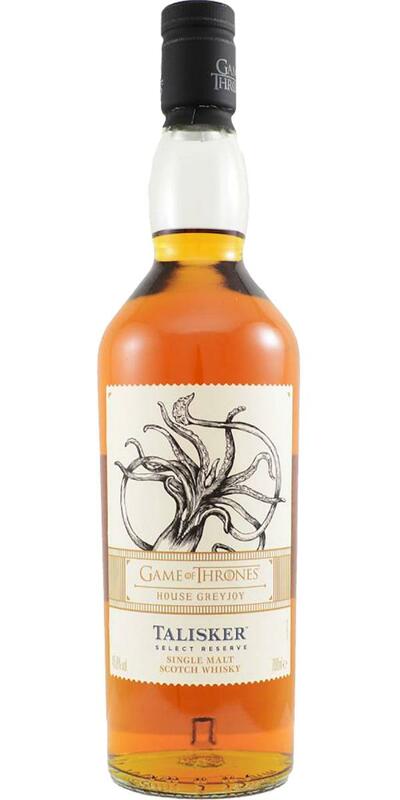 Great Talisker if you ask me, that fits the Ironborn from the popular series perfectly. An unbelievable and unbalanced Talisker! Clear salty note and for Talisker unusually much smoke - presumptive signs of youth! A small dip in taste, and so All is well!